Photoshopped - Real mosaic coming soon! Wow… Thanks to everybody for all the great feedback. I’ve received enough great suggestions through various channels that I’ve decided to keep a running list in order to keep track of them and give the suggesters something to look forward too. Some of these I still will need to get some new paint colors for, but it will be worth it. Any other suggestions? Feel free to add them in the comments! 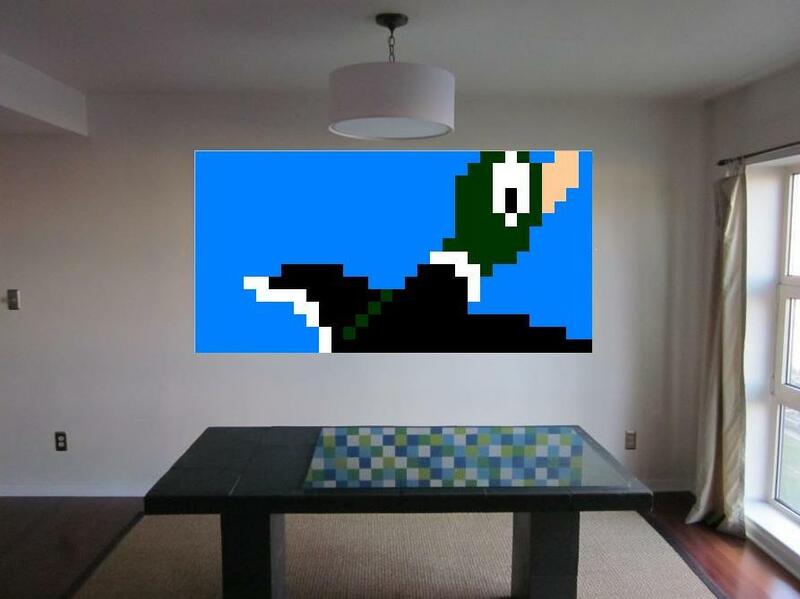 This entry was posted in 8 Bit Sprites, Mosaics, Mosiac Project, Not Sprites and tagged 8-bit art, Nintendo, pixel art, Sprite. Bookmark the permalink. i know it isnt a nes sprite but doing the origional sonic would be cool.